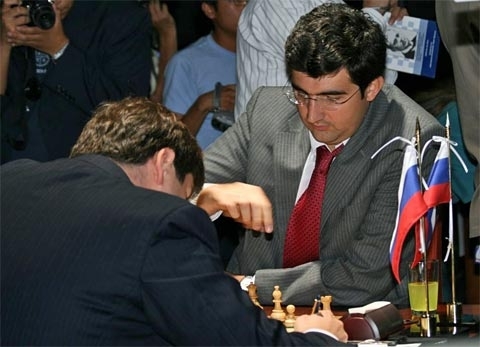 09.13.07 The first round of the 2007 World Championship was a placid affair with all games ending in draws and none of the games lasting longer than twenty-eight moves. 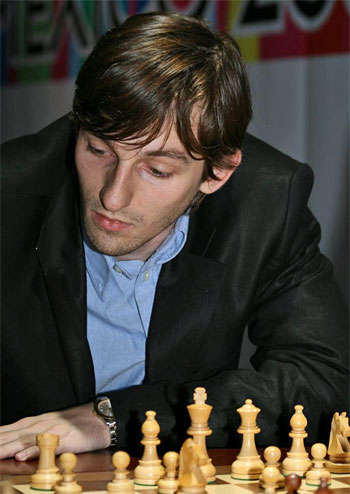 This result was more or less expected as players typically feel each other out in the early stages of such a long tournament. Here are games and images from round one. 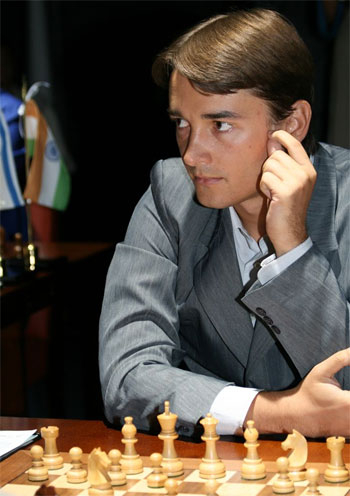 Official site of the 2007 World Chess Championship Watch LIVE chess games from the World Championship here. 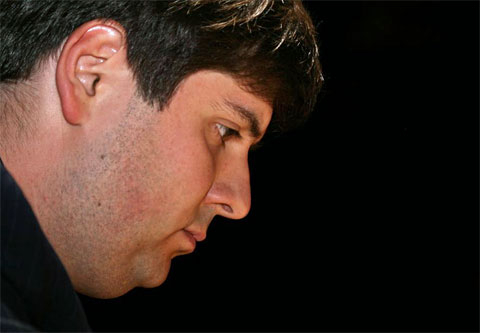 Man in Black: Peter Svidler playing the black pieces in round one. 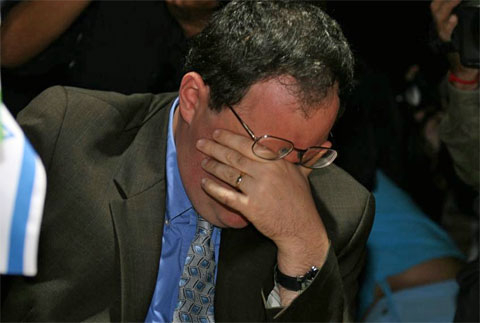 Boris Gelfand getting ready to face Anand. 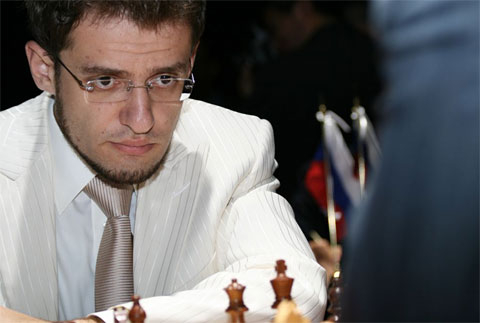 The one to watch: Levon Aronian. 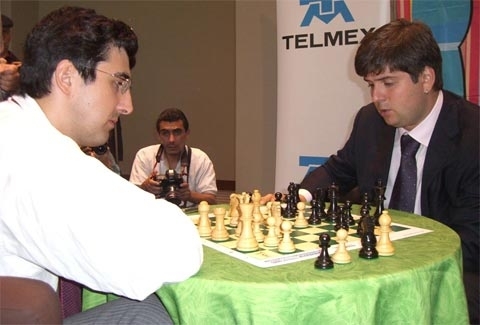 Vladimir Kramnik and Peter Svidler analyzing.